Last week we—us and you, dear readers and contributors—reached 150 posts in the Dangerous Women Project. In some ways it feels like yesterday that we wrote about reaching the first 100. Yet so much has happened between then and now, and there have been events and occurrences that we’ve found mirrored and reflected in the pieces we’ve published. On July 27th, we celebrated the birth date of a pioneering explorer and botanist. In the 1760s, Jeanne Baret disguised herself as a man to became the first woman known to have circumnavigated the globe. She also discovered the Bougainvillea among other flora, though it seemed the newly identified plants of that expedition only acquired names honouring men. It wasn’t until 250 years later that Jeanne would receive the same honour with the naming of Solanum baretiae. Next, we looked to a generation after Baret’s voyage, when Elizabeth Miller became the first (and, we think, only) woman to captain a UK merchant ship (you can see Brenda Rosete’s visual tribute to Miller here). Then, August arrived. In Edinburgh, home of the Dangerous Women Project mothership (the Institute for Advanced Studies in the Humanities), the vibrant spectacle of the Festival is unfolding. In the lead up, we’ve featured a trio of women in comedy giving their take on the dangerous woman question. Isobel Moulder explores why funny women are perceived as dangerous, and why that’s a problematic situation for any gender. With wry humour, comedy writer and performer Jasmine Tonie declared her danger lay in her decision to be childless by choice. And rounding things out, Gemma Flynn tackles the ‘F’ word straight-on in her feminist stand-up shows (you can still catch them until August 28th!). 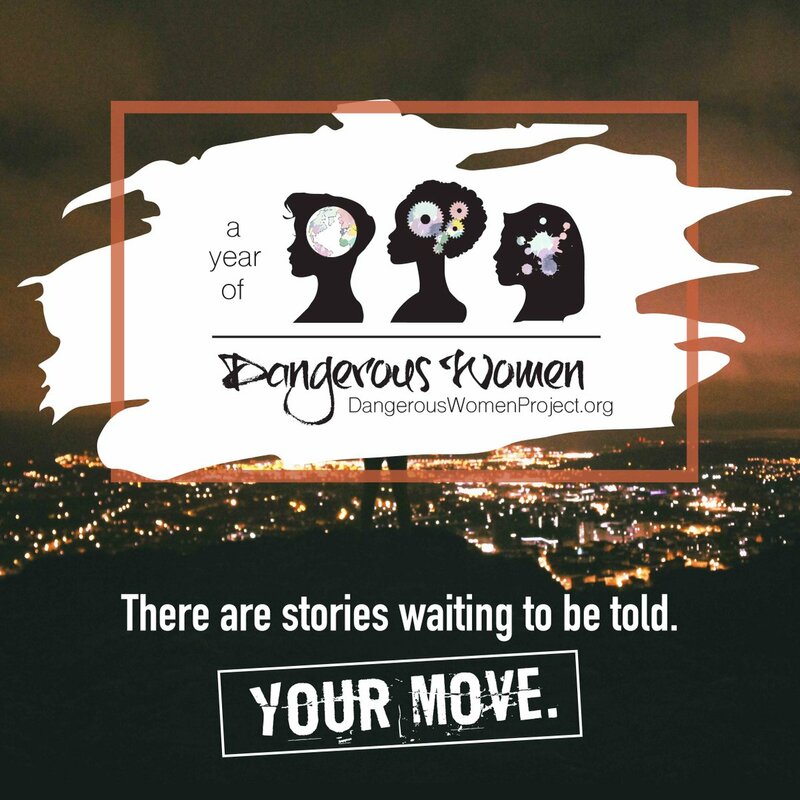 There have also been more sober and serious moments that reinforce the currency of the Dangerous Women Project. Sadly, in separate incidents just days apart two women recently went missing while jogging alone in the eastern United States. Their bodies have since been found. Quoted in the New York Times, a representative of a women’s running group in one of the local areas said she had a spike in requests for group running sessions because the incident “…brought light to all of us that we just can’t do the things we’re used to doing… [only running in groups] …isn’t fair, but it’s smart.” It was pure coincidence that earlier on the same day the Dangerous Women Project featured a post on parkour that refutes victim-blaming attitudes towards women in outdoor sport and asserts their right to public spaces. Overall, it’s clear the world is changing as our project evolves. In a period of considerable political upheaval globally, we have recently witnessed some examples of what has been called the “glass cliff” for female political leaders. They are called upon to lead parties and countries, only right at moments of heightened political and economic danger, where the risk of failure is particularly acute. Last month, the UK gained its second female prime minister, Theresa May, after a period of political turmoil which saw a vote to leave the European Union in a referendum, and the subsequent resignation of the Prime Minister (which necessitated a new Conservative Party leader who in turn was invited to form a government). Not long after, we featured Women of Steel – art provoking us to see powerful women, including May, in a new frame. On the other side of the Atlantic, in the most extraordinary Presidential election in the United States that most people can remember, Hillary Clinton was the first woman to be nominated as Presidential candidate by a major party, and now faces perhaps the most openly misogynist candidate ever to be nominated, Donald Trump, in the November general election. But as we saw with the murder of Jo Cox MP in the UK during the EU referendum campaign, women face particular risks if they speak out on controversial topics. We’ll therefore continue to cover these issues with new posts as part of the Dangerous Women Project, building on the challenges laid down by women who have faced down internet hate — the same women who inspired this project in the first place. More generally, yet true to form, we haven’t shied away from offbeat, controversial, or difficult reads. For example, who would have thought comics, feminism and mid-20th century architectural movement New Brutalism went hand in hand? Or that Ernest Hemingway was jealous of his third wife’s writing — celebrated 20th century war correspondent Martha Gellhorn (How did they apparently cope? He had affairs, she faked her orgasms). But there have also been heartbreaking contributions, and not a single one of us in the team weren’t deeply affected by a mother’s challenge to government policy on palliative care for terminally ill children. And accounts of struggles with mental and physical health, from anorexia to the burnout that comes with contorting oneself into a 21st century superwoman, highlighted the importance of seeking help when in need. So, whether it’s political dissent, art by and representing women, women’s and gender history, literature, relationships and families (including the happiness and sadness these can bring), we’ve covered it. But there’s so much more to come. That’s why we hope you’ll stay with us as we turn the digital pages into the next chapter. Perhaps you’ll even help us write it? We’ve just now reopened for submissions. The last 50 posts may have challenged us and the status quo, but now we challenge you. There are stories waiting to be told.